One year when my mother and I were visiting her sister and brother-in-law (my aunt and uncle) in Bettendorf, Iowa we decided to take a bit of time to see some sites outside of the Quad-City area and take a scenic day trip. As some of you might know, the Quad Cities are truthfully a misnomer. It should be called the Quint Cities but the name Quad has remained. Bettendorf and Davenport are in the State of Iowa and Rock Island, Moline and East Moline are on the Illinois side of the rivers. 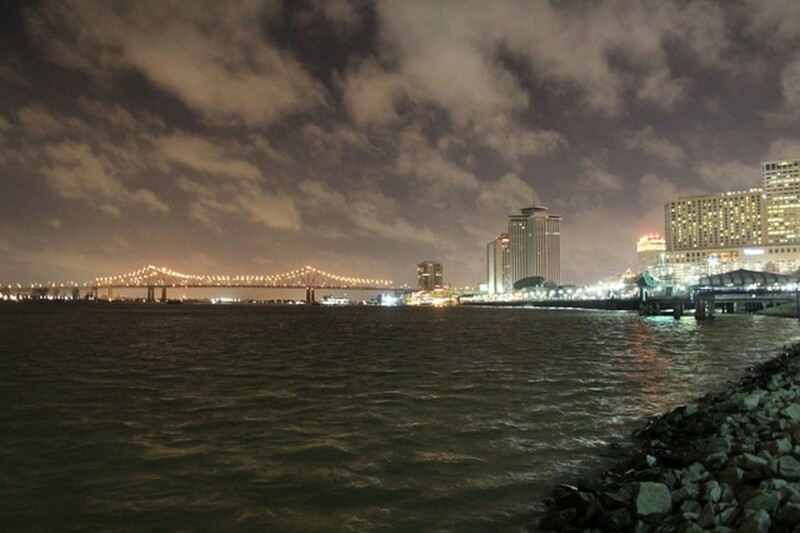 The mighty Mississippi River and the Rock River meet at this point where these cities are located. There is much to do and see in this area, but my mother, aunt and I decided to head out and explore the city of Galena, Illinois which is located in the far northwestern tip of Illinois. I was driving and after crossing the Mississippi River most of the scenery we saw on that beautiful day was on the Illinois side of the river. 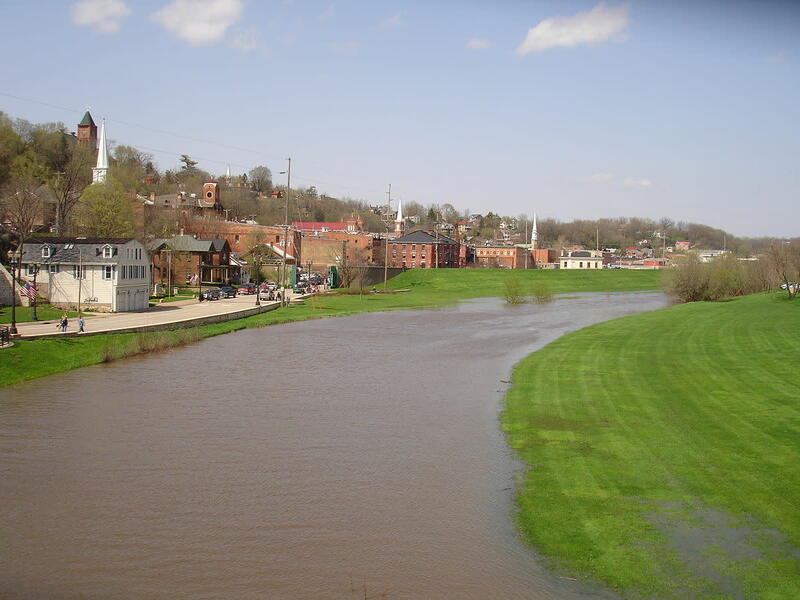 Galena, Illinois is located on the banks of the Galena River which flows out to the Mississippi River. It is an extremely picturesque spot due to all of the rolling hills and exposed rocks in this area. The Galena River (earlier known as the Fever River) is only 52.4 miles (84.3 km) long originating in Wisconsin before flowing into Illinois and ultimately joining the Mississippi River. The town of Galena straddles the Galena River and it is only an area of 3.7 square miles (9.6 km) with elevations that rise up to 633 feet (193 m) above sea level. 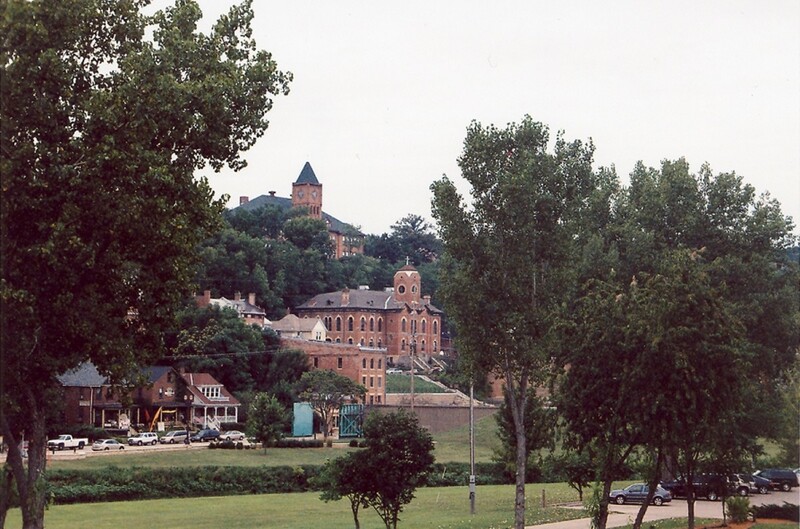 The terraced streets twist and turn and historic buildings were built upon the bluffs overlooking the river. Sauk and Fox Indians originally lived in this area and probably the most famous of them was the Indian Chief known as Black Hawk. Galena actually derives its name from the lead ore that was used by the Indians for body painting. When the French settled in this area and started mining the lead, this is what spurred the growth of this town in the early 1800s. The mansions built during that time stand as a testament to the riches derived from the lead mining although it was short lived when the amount of lead quickly played out. Galena for a time was once a major steamboat port during the heyday of the lead mining operation. My mother, aunt and I decided to take a trolley tour of Galena and were glad that we did because the trolley operator gave a running commentary on what we were viewing as he navigated the sometimes steep and winding streets. The Dowling House pictured above is supposedly Illinois's oldest stone structure and oldest home which was once a 1826 trading post. 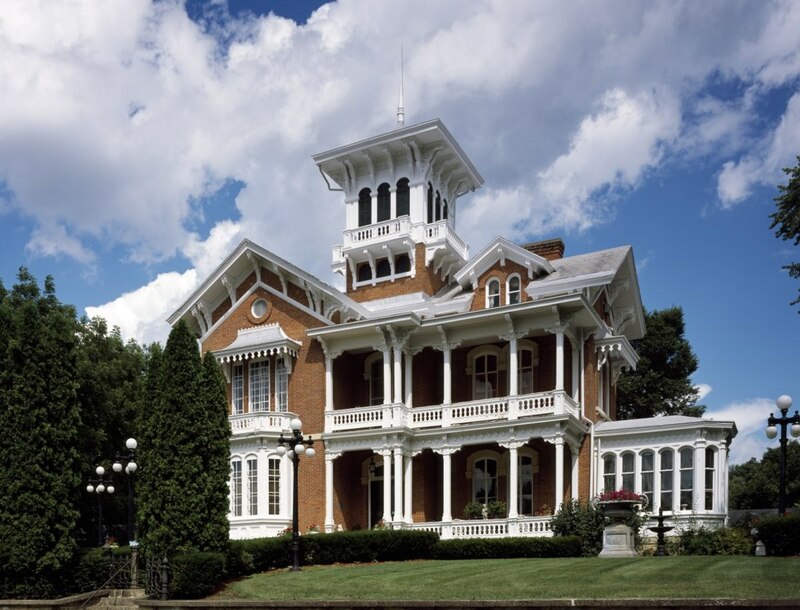 Just one of many historic sites in Galena, Illinois is the DeSoto House Hotel which opened its doors in 1855. Galena at one time was larger than the City of Chicago! So obviously visitors needed a place to stay and arrive they did! It is located in the middle of the downtown area and as we were being driven by the hotel while on the trolley, we were informed that Abraham Lincoln once gave a speech from that very balcony! Other notable persons in history have also stayed there including such people as Stephen A. Douglas, William Jennings Bryan and Ulysses S. Grant. The DeSoto House Hotel is still operating today accepting guests who wish to explore more of the things to see and do in this pretty little town. 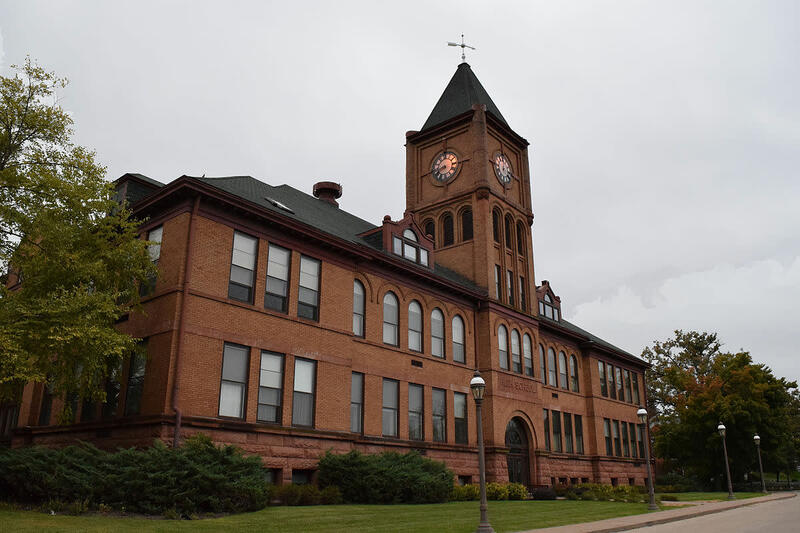 The Old Galena High School now has another purpose. Rebuilt in 1905 after a fire destroyed the school it was sold in 1980 and people now live in condominiums within that pretty building which is reputed to be a Richardsonian Romanesque style. This building certainly dominates the landscape in Galena. It would be fun to see what the condominiums look like on the inside. 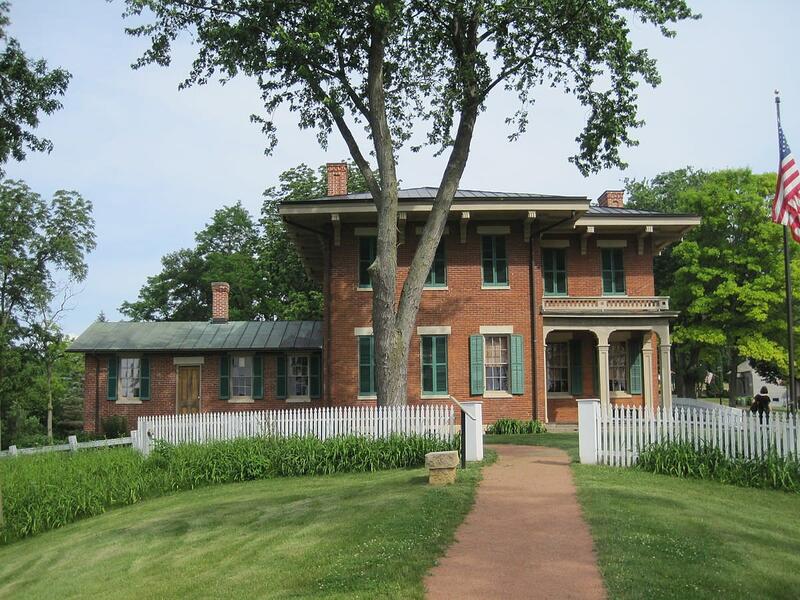 Ulysses S. Grant actually lived in two different homes in Galena, Illinois. The first one was modest but after the Civil War he was so esteemed by the residents of Galena that he was given a mansion in which to live. The year was 1865 and he only lived there for about four years after which he became the 18th President of the United States. The mansion has been preserved and still contains memorabilia and furnishings from those days and is now a State Historic Site. 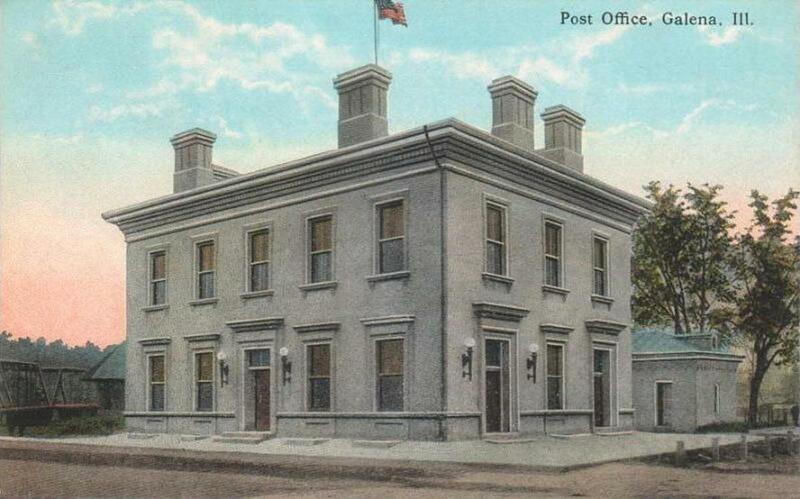 Another historic site in Galena is the U.S. Post Office and Custom House. This Renaissance Revival Building constructed of Nauvoo limestone was built in 1858. It has the ranking of being the oldest continuously operating post office in all of the United States! Turner Hall got its name from the "Turners" or Turnverein Clubs that originated in Germany. 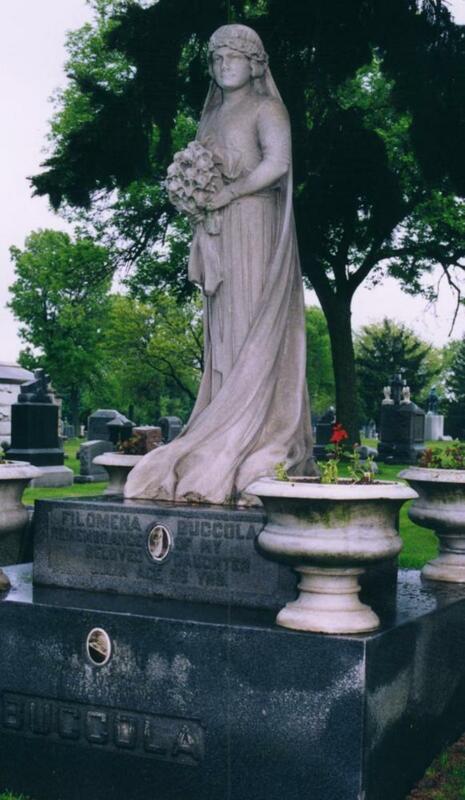 My great -grandparents who were of German descent were members of the Turnverein Club in Milwaukee, Wisconsin. Turnverein members promoted physical exercise as well as mental stimulation and also philanthropic benefits to the communities in which they lived. This building called Turner Hall originated in 1874. Today although it has changed ownership it is utilized for entertainment purposes, social engagements, educational and gymnastic activities and other events. 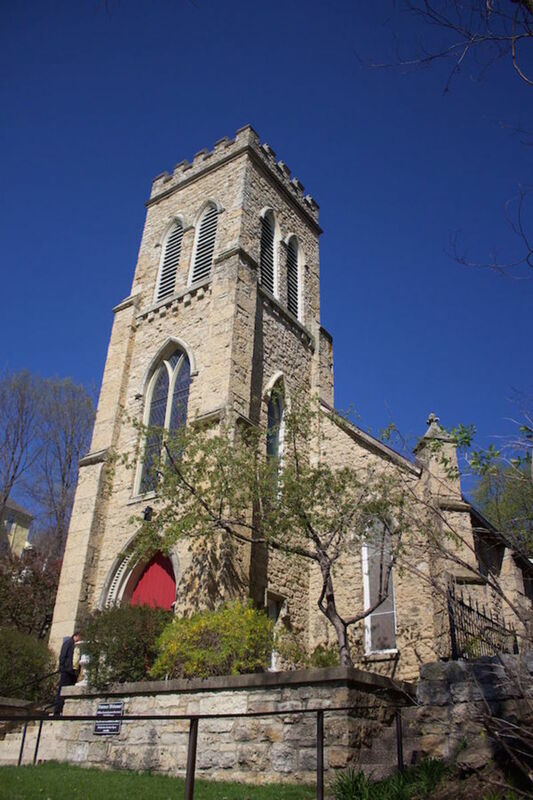 It remains to be a terrific asset to the town of Galena, Illinois. 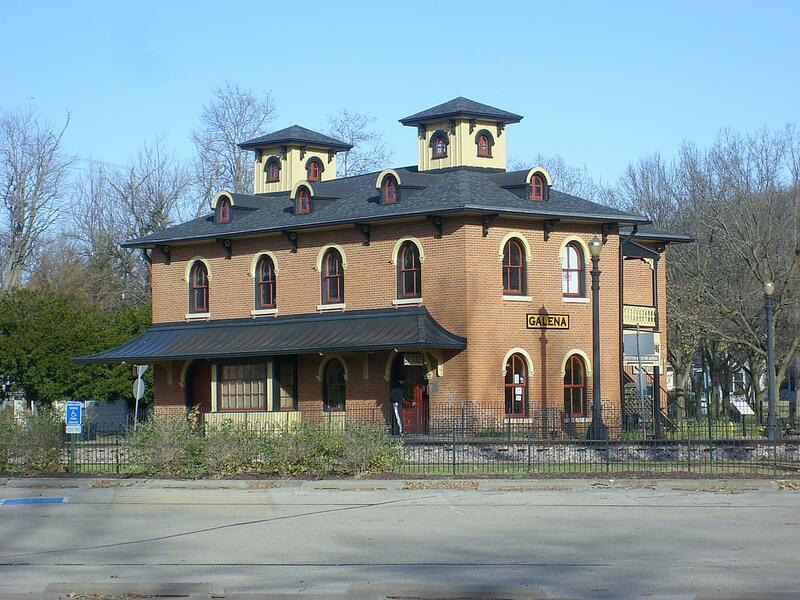 The Galena Chamber of Commerce is located in the old Galena Railroad Depot located at Bouthillier Street and Park Avenue. This is where we discovered the options of what there was to do and see in Galena and where we signed up for our trolley tour of the town. 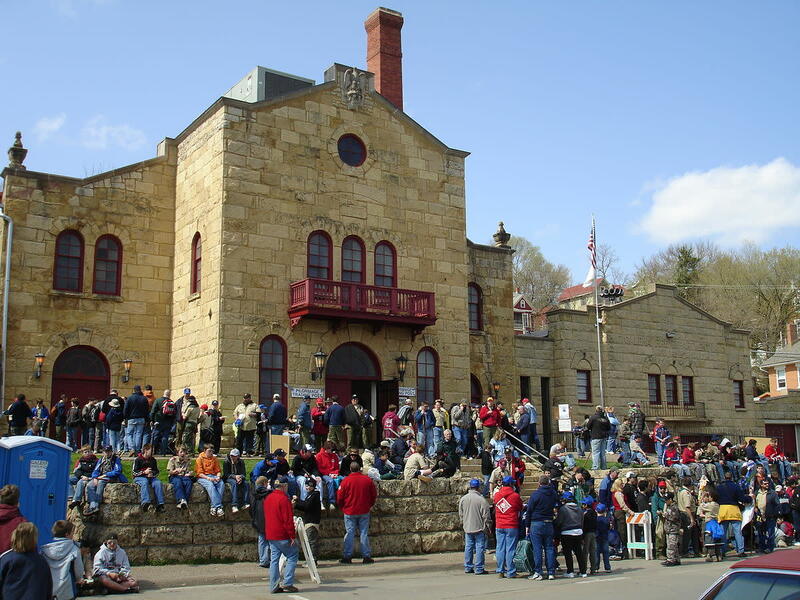 It operates as the Visitor Information Center for Galena. 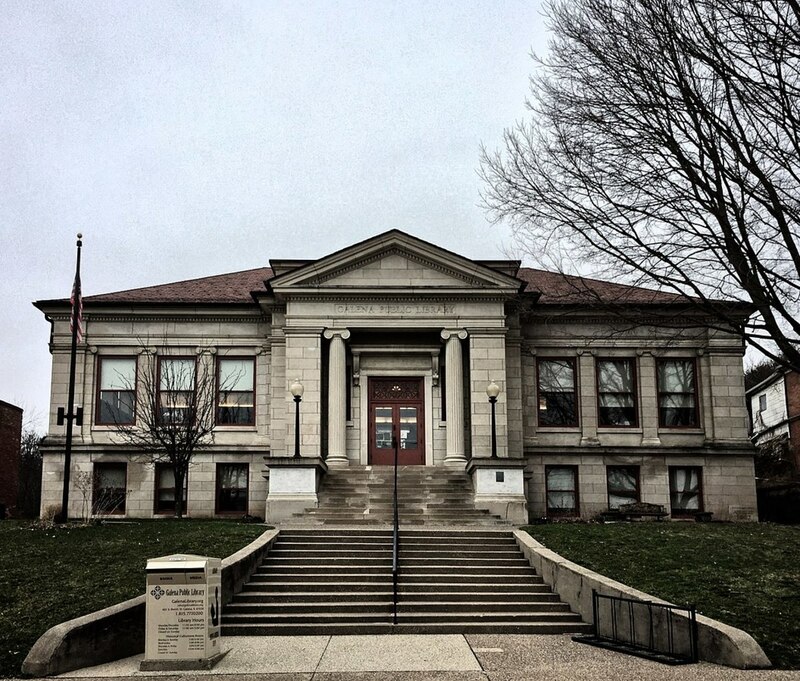 This current building of the Galena Public Library originated in 1906. Prior to that the town library was housed in the Daniel A. Barrows mansion dating back to 1858. Located at 601 S. Bench Street, it is a beautiful structure serving a population of over 4,500 residents. 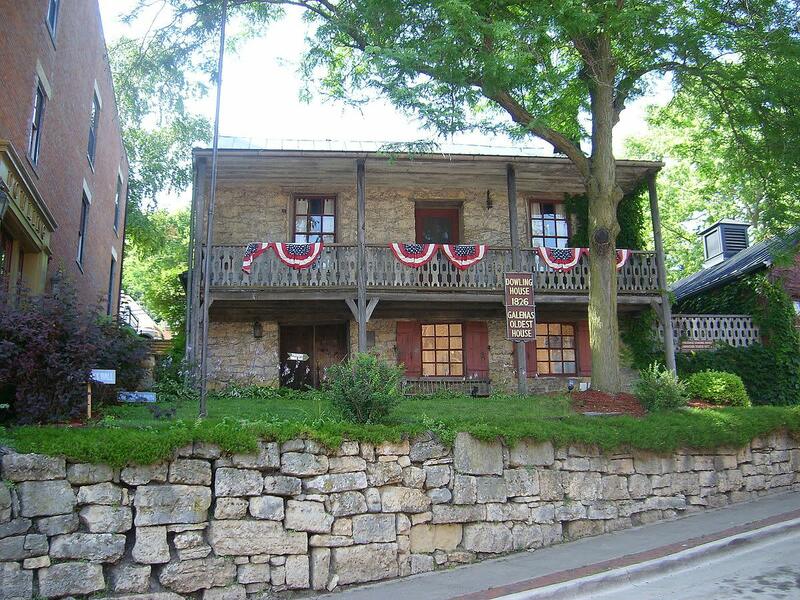 There are a great number of Bed and Breakfast Inns in which one might choose to stay when visiting Galena, Illinois. 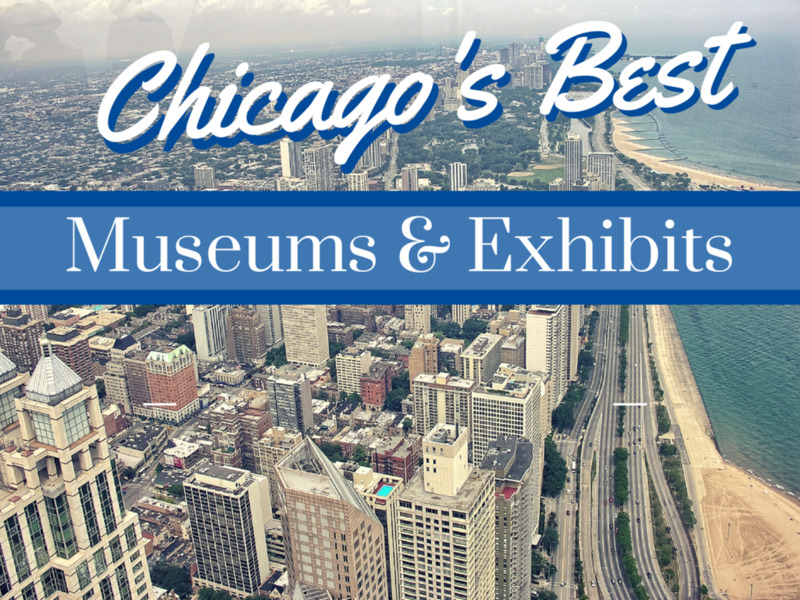 In addition to learning more about the history of the area, there are numerous things with which one might be entertained for a time. Although our visit was only for a day, we learned that there are river cruises, home tours, spas, hiking, gardens to visit, shopping, ski and golf resorts and even some ghost tours for those so inclined to explore those areas. Naturally there are a number of restaurants in Galena and we grabbed a bite to eat in one of them while waiting for our trolley tour to begin. Galena, Illinois turned out to be a delightful days journey away from my aunt and uncle's home in Bettendorf, Iowa and we learned much about this county seat and largest city in Jo Daviess County of Illinois. It is a tourist destination worth visiting in my opinion and our one day visit...considering the driving time to go there and return home...only gave us a glimpse of what there is to offer people who can spend a bit more time there. The topography of the land is spectacular. Built on both sides of the Galena River, a tributary of the Mississippi River, this small town of Galena, Illinois is big on natural beauty and amenities. Glad you liked this. 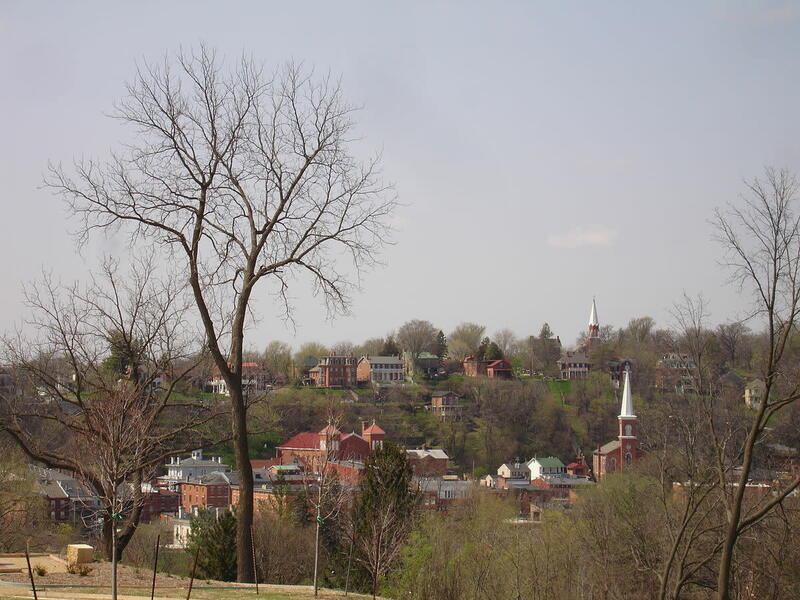 The pictures were old and not of the best quality but at least you get some idea of what Galena, Illinois looks like. Thanks! Love the architecture of the buildings and some excellent pictures. Voted up, useful, interesting and shared. Rated 5 stars. 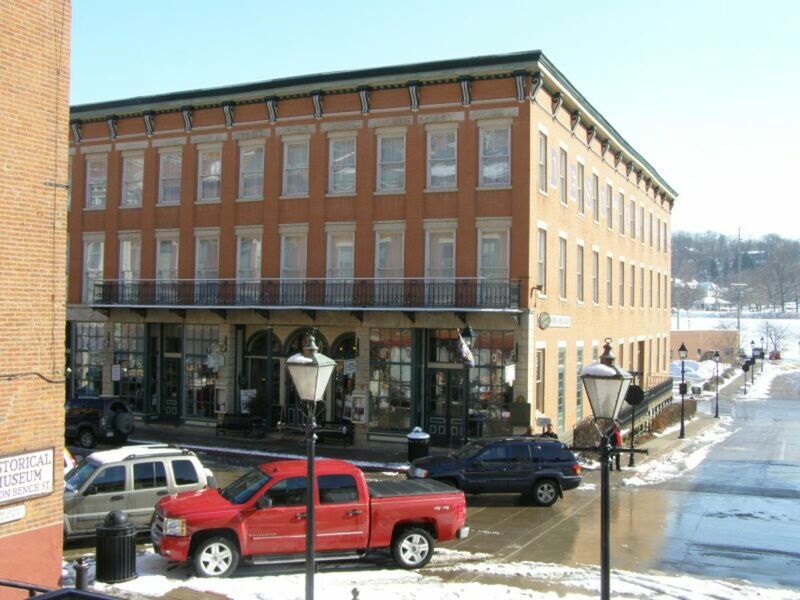 Since you love architectural styles...you would REALLY like visiting Galena, Illinois. The topography is also so pretty and they made full use of it. Wish we had had more time to spend there. Thanks for your comment, votes + share. Architecture is my favorite kind of art and there is certainly a lot of it to look at and appreciate in Galena IL. Very interesting indeed! Gave you 5 more stars and voted up, BAI, and will share! Glad to know that you liked seeing some photos and learning a bit about the town of Galena, Illinois. It is certainly a beautiful town. Thanks for your comment. Wonderful shots and interesting introduction to Galena. I have only stayed at one B&B ever but know friends who do it often and really enjoy themselves. Will look forward to reading about your experience and seeing the photos. No, I haven't yet. Just got back actually, but the thought did cross my mind while I was there, so I snapped a few pictures (with the owners permission). I think it will be my next hub. Staying at a B&B you often get to know the owners a bit, it's seems so much more personal than a hotel. 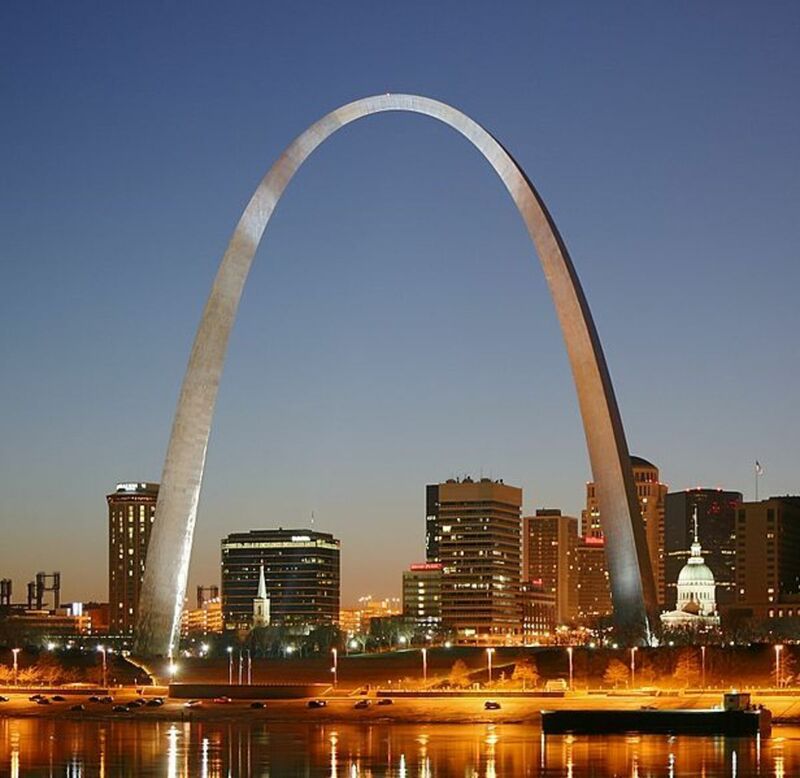 Nice to know that you enjoyed learning about the historic site of Galena, Illinois. Sounds as though you had an interesting overnight stay at a B&B. Did you write about it? Thanks for your comment. Great job Peggy W. A wonderful look at the history of an area. I love learning about the history of places like this in and around where I live and work. I just stayed in a B&B this week that was built in 1845 so I had to ask questions. The owners were very accommodating - in fact I learned more than I really wanted to know! LOL It was a big old house just packed with antiques and unique furniture. Loved it. Glad that you liked these photos taken in Galena, Illinois. Thanks for your comment. Awesome pictures that one of the Dowling House looks like a good base for a story. Its kind of mysterious looking, and you have a nice collection here. 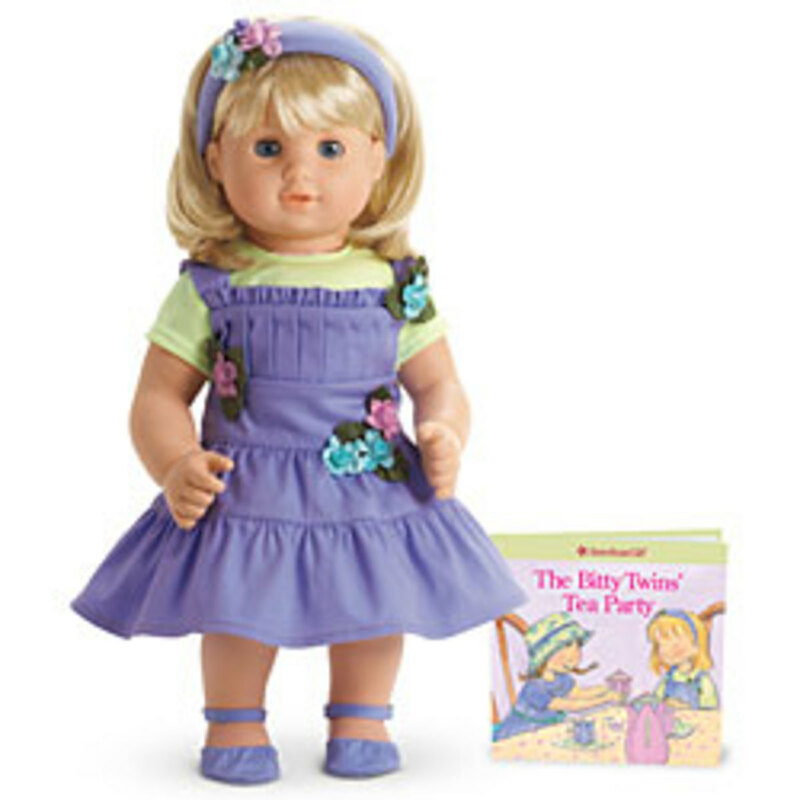 I have two cousins who live in Peoria! Nice to know that you have also enjoyed the scenic town of Galena, Illinois. Thanks for your comment. I love Galena! We drove up with my sister from Peoria, IL last time I visited. Rated up! So nice to know that you enjoyed this tour of Galena. I agree...the old buildings are definitely charming. Thanks for your comment. Thanks for your comment on this Galena, Illinois hub. Appreciate it. Nice to know that you really enjoyed this tour of Galena, Illinois. Thanks for your comment. Your hubs are always so well created and your hard work certainly pays off. I really enjoyed this little tour. I've been to many American towns and cities, but this was a new experience for me, the only thing I can relate it to is some of the movies I may have seen. Such interesting architecture and so patriotic looking too. Quintessentially American to this European boy. Very nice. Galena, Illinois was not that far a day-trip drive from the Quad-Cities. Glad to know that you enjoyed learning a bit about this beautiful and historic town. Thanks for your comment. Wow, what a neat tour of Illinois in the Quint, or quad city area! I have never seen this area before, so its always a joy to see new places through the eyes and lens of another person. Thanks for sharing your photos and the videos. I am so happy to have gotten to see Galena, Illinois with my mother and my aunt. It is also the last time they got to see each other in person when that vacation visit ended. Yes...I hold these memories dear to my heart. Thanks for your comment. Galena is a few miles from the Mississippi with the Galena river flowing into it. At one point apparently the Galena River allowed the bigger ships from the Mississippi to come inland further and with the export of lead ore was kept quite busy. I agree that the Victorian houses are quite lovely. Thanks for your comment. Excellent hub. Great information, photos and videos of this interesting historical site. You have wonderful memories that you will always hold dear from your last vacation with your dear mother. The sweet memories that you endure in your heart and mind will always be cherished for a lifetime. I am truly touched. Enjoyed this visit through Galena very much Peggy. Didn't know Galena was on the mighty Mississippi. The Victorian houses are eye-catching too, a different architecture than around here. So true and Galena is definitely worth slowing down to get to see and enjoy. The setting is just so pretty even if it was not filled with interesting history. Wow...you and Pete Rose playing opposite! That is quite something! Very interesting, Peggy. A lot of old towns have history that we would find interesting if we we not in a hurry to get someplace else! As a teenager I played basketball in a Turner hall in Cincinnati, Ohio. I happen to be there when Pete Rose first joined the Reds and had the experience of playing against him in a pick-up game. I quickly realized that pro athletes were not like the rest of us wanna-bes! Thanks! Enjoy your Mom while you still have her! You are still creating memories with her. Thanks for your comment on this Galena, Illinois hub. I'm so glad that we got to see what we did of Galena, Illinois on that last trip my mother and I got to take to visit our relatives. Still remember the wonderful green tomatoes out of my uncle's garden! My aunt and uncle preferred the ripe ones but sacrificed some of the green ones to make my mother and me happy with getting to eat some green fried tomatoes. Lots of good memories to cherish from that trip! The fall colors were spectacular that year! Thanks for your comment and votes. Happy to be able to fill in some history and details regarding the historic and beautiful town of Galena, Illinois. We only scratched the surface on our one day visit there. Would love to go back and see more of it in detail someday. As you noticed...there were many grand buildings and residences...especially given the size of the town. Thanks for your comment. Memories of our trip to Galena and so many other things keep my mother close in my heart. Thanks! Hi Peggy, Galena is one of my favorite places.When we lived in Illinois it was a place to go for a day trip,as you mention.I don't think anyone knows which os the fourth of the Quad Cities.When my siblings grew up in Des Moines, Iowa they were known as the Tri-Cities.We were young enough the first time we went to Galena that we climbed the step up the bluff. after awhile we gave that up. I recall there were some nice restaurants there but don't remember the names.You have some nice pictures too.voted up, interesting beautiful and awesome. I thoroughly enjoyed reading this history. This part of the world I shamefully admit I know very little of. There was a distinct grandeur to lifestyle overall in this town. Thank you for sharing your photos and facts on Galena. That is indeed a special memory Peggy and sorry for your loss. It is great that you keep the memory close though. 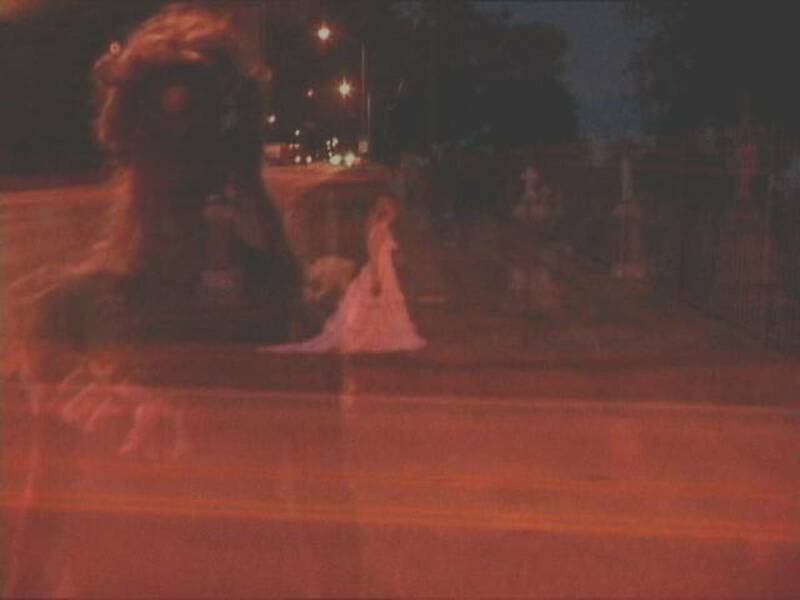 It makes it everlasting. Once again, very good job and congrats on hitting 100. Take care. 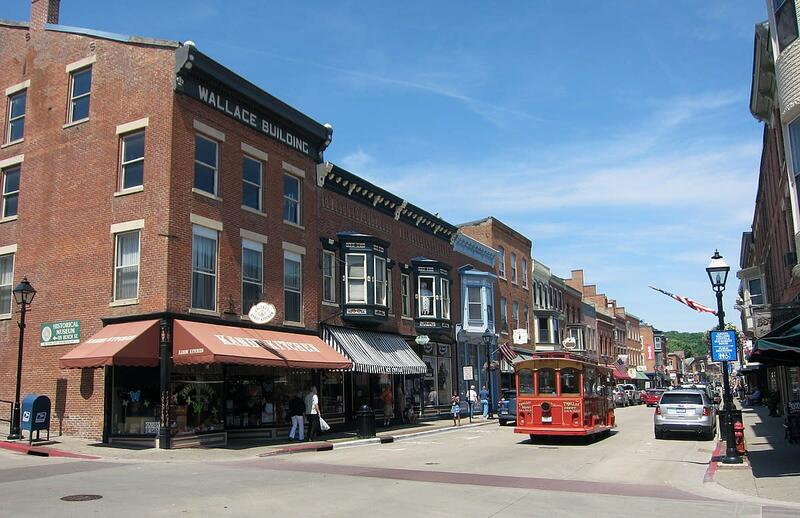 Glad that you liked this article about Galena, Illinois. It is truly a beautiful and historic site. So happy that I got to see it with my mother and my aunt. It was the last trip that I got to take with my mother that took us out of the State of Texas. So these are special memories. Thanks for your comment. Up and all across but funny. Great article here Peggy. You have captured some great shots of Galena. The name sounds so familiar. I traveled through Illinois 8 years ago to get to Wisconsin, but I can't remember if Galena was on the route. I would have to look at a map. Such a beautiful place either way Peggy and this is just another outstanding, well written, useful article:) Congrats on 100! You deserve it Peggy. Just in case, Happy Thanksgiving and take care.